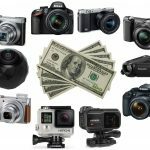 First and foremost, what exactly is your budget? 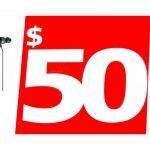 We understand that $500 or less is the target here for today’s topic; however, there’s a large difference between a guitar that lands within the $100-$200 price-range and others that hover right near that $500 mark. If you’re a beginner and are just learning how to play guitar, we highly recommend investing as much as money as you can but also keeping in mind that you won’t necessarily have to drop all 5 bills on a starter guitar. Most starter guitars can last you for years and you can upgrade many years down the road. 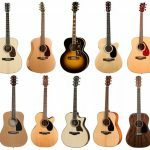 Next, do you want an acoustic guitar or electric guitar? We’ve added a few acoustic guitars in here in case that’s what you fancy, otherwise a majority are electric. Keep in mind some of these also come in both types, and we’ll provide you links if it does. Lastly, and as stated previously, we highly recommend listening to demos! 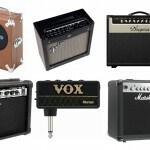 Shopping online is difficult with specific musical instruments, and guitars are one of those. Many guitarists I know also state that the feel of the guitar in your hands is important as well, but that’s not possible to attain on the internet. However what we can control is gauging how that guitar sounds. Watch some demos and see which models stick out to you. We all have that envisioned sound and feel in our heads. Up first on our list of the best guitars under $500 is the Epiphone Les Paul Traditional Pro II. Sticking with the classic shape of a Les Paul with a beautiful bound body, this affordable option is fully loaded with modern technology. One of the best and most versatile guitars on our list due to the coil-splitting abilities of the Alnico Classic Pro and ProBucker pickups, both searing humbucker and single coil tones can be achieved with the pull of a knob. On top of that, there is a convenient +15 decibel boost built into the electronics right on the guitar. Crafted with a mahogany body, carved mahogany top, and rosewood fretboard, the quality on this guitar is amazing for being under $500. Users love this guitar because you get the looks, feel, and quality of a much higher priced guitar at a more budget friendly price and that’s why we love this guitar as an option because you will walk away with a lot of bang for your buck! Up next in our guide, we have the infamous Standard Strat. With three single coil pickups and a 5-way selector, this guitar delivers classic tone and style. Keeping true to its roots, it comes equipped with the large 60’s headstock on a maple neck and fretboard. Due to the contoured Agathis body and the maple neck, the Squier is one of the most comfortable and playable guitars on this list. As many users have mentioned, this guitar is extremely easy to both learn and play on due to the simplicity of the design and electronic setup. With two volume knobs, one for each pickup, and a tone knob it is very easy for players to find their unique sound. This budget-friendly option is often the first choice in guitars for both beginners and entry-level players due to the Squier Standard Stratocaster‘s high-quality finish and classic looks. The Classic Vibe offers one of the best visually and electronically appealing packages for a guitar under $500. Upgraded from the standard Squier outfit with its double bound body, Indian Laurel fretboard, one-piece vintage tinted maple neck, and vintage styled tuners. Packed with a pair of custom Alnico V single-coils, the telecaster has the clear, warm, punchy, and beautifully twangy tone we have all come to love. The 3-way switch allows you to toggle between the neck and bridge pickups or keep them both on via the middle position. 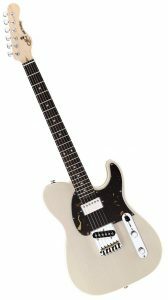 This telecaster is one of the most popular affordable guitars for country and blues (although this guitar can handle any style you throw at it). Many users have mentioned that due to the C-modern shaped neck, the telecaster is one of the easiest guitars for both users with smaller hands as well as beginners for fretting as well as general playing. Third on the list, is the Squier Classic Vibe Telecaster Custom. The first acoustic guitar on our list under $500 is the Taylor GS Mini. With two offerings of tone woods, Sitka Spruce or Mahogany, users can make a choice to better suit their musical taste for either a brighter or darker sound. 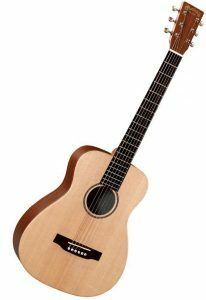 The Taylor GS Mini offers a huge guitar in a travel friendly package at more wallet friendly price. Sticking with the highly popular dreadnaught shape, the Taylor offers a nice, rich, and deep sound without compromising quality. 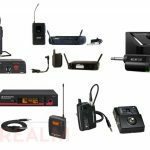 Although this guitar does not come with any electronics built-in, one may be added in the future to allow for both recording and amplified live performance very easily. Standard with an included travel bag, you can keep your guitar safe during future road trips. Taylor offers one of the highest quality acoustic guitars on the market, making this one of the highest quality guitars under $500 on our list. As one of our favorite picks for affordable, feature packed guitars in the “below $500” category, the SG come stock with Alnico classic pro humbuckers, making this iconic shaped guitar of the utmost quality. Standard with a slimtaper D shaped neck with 22 trapezoid inlayed frets situated on a rosewood fretboard, the SG offers a great playing experience. Many users have talked about the playability and tonal variety that this SG can offer due to the coil-splitting capabilities of the Alnico humbuckers. Constructed with a mahogany body, the SG offers a slim guitar that is very comfortable to both stand and sit with during playing. As some owners have mentioned that along with the thin body, comes a very weight-relieved package making long gigs a little more bearable. 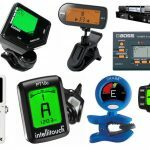 Stock Wilkinson tuners help keep this budget-friendly option in tune during long-practices and shows. You’ve been thunderstruck, just kidding, it’s the Epiphone G-400! With a variety of color options, on a solid basswood body with a beautiful carved maple top, the Schecter Omen 6 comes full of features the modern metal guitarist would love. Standard with a bolt-on maple neck and 24 extra jumbo frets on a rosewood fretboard, this guitar offers an effortless shredding experience. 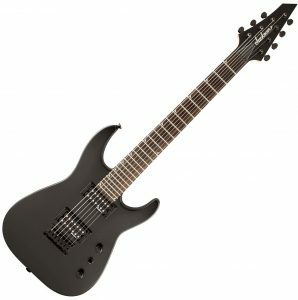 One of the highest quality guitars for the price, the Schecter comes standard with an actual licensed Floyd-Rose locking tremolo system, Schecter Diamond Plus high-output alnico pickups, and the ability to coil-split. With a locking tremolo system, the guitar holds and locks in tune and allows for users to dip and dive the whammy bar without having to adjust the string tension or retune. The three-way toggle allows users to switch between the bridge, neck, or combine them together to create a very versatile guitar. Due to the coil-split capabilities, users can also activate this feature along with the 3-way switch to blend a mix of both single coil and humbucker sounds, giving you the best of both worlds. Like many metal guitars, the Omen comes in both a 6-string variant and a 7-string variant to accommodate player preferences. Many user reviews show, the Schecter Omen 6 is often rated 5 stars due to the rich and deep tones, versatility, and playability, landing itself a spot on our list of the best guitars under $500. 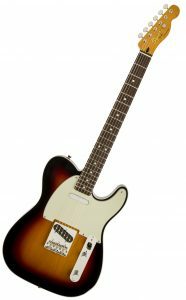 Next on the list of best guitars under $500, is the G&L ASAT Bluesboy. This affordable feature packed guitar offers a lot for a great price. 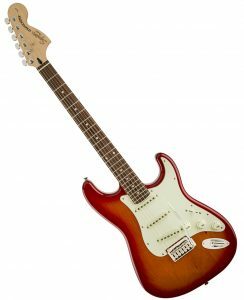 As the brainchild of Leo Fender, players can get a trusty, reliable guitar, for a more affordable price. One unique feature, among many, that you won’t find on a lot of other guitars is the pickup configuration. The Bluesboy offers a single-coil pickup in the bridge position with a humbucker pickup in the neck position. This allows for users to get fat, smooth, clean tones as well as overdriven lead tones with a lot less output noise in the neck. Leaving the single-coil pickup in the bridge allows for maximum twang that the “telecaster” body is known for. Another unique thing about the G&L is the guitar is manufactured in Indonesia versus China or Korea. The body is crafted with poplar and comes stock with a bolt on hard rock maple neck. The neck comes stock with a satin finish, which is usually a feature found in more expensive guitars, allowing players a smoother playing experience and faster playability. 22 medium jumbo frets allow for access to nice playability for smaller hands. As far as guitars under $500 go, you get a unique offering with a lot of options that would be costlier elsewhere. Another bite size offering in the world of acoustics, the Martin offers a Sitka Spruce top with unfinished mahogany back and sides along with an unfinished birch laminate neck for a one of a kind playing experience. The Martin has a concert shape and offers a full and rich, bright sound. Don’t be fooled by scaled down guitar, it offers plenty of volume, clarity, and tone. One unique thing to the Little Martins compared to other guitars is they come stock with Richlite Fingerboards and a matching Richlite bridge, which helps tie the whole guitar together aesthetically. In order to keep the Little Martin highly affordable, it does not come with an electronic pickup installed within the body of the guitar. However, one may be easily added to and removed from the sound-hole opening. 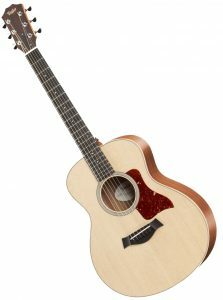 In addition, the Martin LX1E, the same model as the LX1, is a viable option as it comes with an electronic pickup already installed in the body and still falls under the $500 price point. Like the Taylor, the Little Martins come with a Martin gig bag for easy transit. The Little Martin holds its place on our list for marrying affordability with quality. The Martin LX1 is the second acoustic guitar to make our list of best guitars under $500. We have the second Epiphone Les Paul on our list of the best guitars under $500. The Slash “AFD” (Appetite for Destruction) is an extremely competitively priced option for those who want an affordable signature model, a Les Paul or don’t know where to start or don’t want to overspend. This starter pack comes with everything a first-time guitarist needs to get started and inspired. It comes with the Slash “AFD” outfitted Les Paul, an Epiphone Snake Pit amplifier, guitar pics, strap, bag, and guitar cable. The Snake Pit amplifier is a two channel, 15-watt, 8-inch speaker, open back, solid-state combo amplifier. One effective feature is that The Snake Pit comes with a headphone out jack that allows users to enjoy their playing at night without having to have the volume at a disruptive level. As for the guitar it is a specially outfitted Epiphone Les Paul Special-II, spec’d to an affordable version of Slash’s AFD guitar. It comes stock with two Ceramic Plus Humbuckers and a Flame Maple top on a Mahogany body to get the instantly recognizable classic rock crunch we all love. The bolt on neck is a D standard profile with 22 medium jumbo frets on a rosewood fretboard offering a comfortable playing experience. Many users have called this bundle an excellent value and a great starting point for their guitar journey. If you want to skip the extras, the bundle is not needed, the Slash AFD Les Paul may still be purchased separately for an even more affordable price. The last guitar under $500 on our list is the Jackson Dinky JS-22. This solid-body guitar offers a lot of features for a very affordable price. Offering a few color options, a basswood strat-styled body, and searing high output humbuckers, this guitar delivers. A bolt on satin finished maple neck is combined with a 24 jumbo rosewood fretboard offers a smooth playing experience. This guitar is a step above the JS-11 and comes with the classic Jackson Sharkfin inlays, a two-point fulcrum tremolo bridge with a whammy bar, and Jackson tuners. This guitar can deliver everything from clean melodic lines to high gain metal at a budget-friendly price point. This guitar can be purchased in both 6 string and 7 string variants to suit multiple playstyles. The versatility, features, and price are what have landed this guitar a spot on our list.